The Four Corners has been the region hit hardest by drought nationwide, according to the U.S. Drought Monitor. Since April 2018, the area has had drought intensity at the D4 Exceptional Drought Category, the highest level. Also, a seasonal U.S. Drought Outlook shows that through April, “drought remains but improves” in the Western Slope and Four Corners. Cortez weather service observer Jim Andrus said Wednesday that precipitation in Cortez for December was 1.62 inches, or 207 percent of the average of .88 inches. January precipitation is at 1.82 inches, or 184 percent of the average .88 inches. In February, the district will begin to publish runoff forecasts from the Colorado River Basin Forecast Center. The medium runoff from the Dolores Basin into McPhee Reservoir is 250,000 acre-feet. Anything less would likely mean shortages because of low carryover in the reservoir, Curtis said. 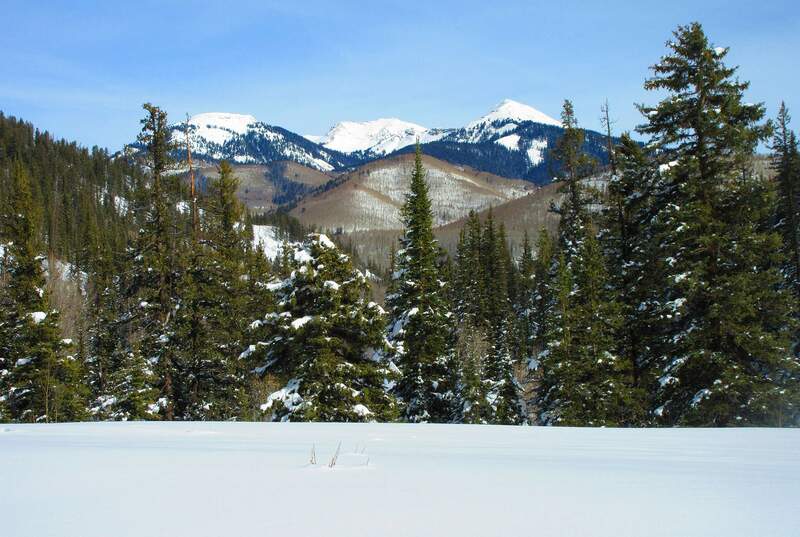 To fine-tune runoff predictions, every year starting in February, the district sends snowmobiler Tad Wilbanks to take measurements of low-elevation snowpack below 9,000 feet, where there are no Snotels. Measurements are taken at Groundhog, along the Dolores-Norwood Road, Belmear Mountain, Cottonwood Road, Willow Divide, Salter Y and others. The district has 30 years of record on the low-elevation sites. Conditions for cloud seeding have been good this year. More than a dozen stations throughout the basin release silver iodide into the atmosphere during certain conditions to draw out more moisture from storms. So far, about 10 storms have been cloud-seeded. Curtis said the government shutdown has not had a big impact on management of McPhee operations. The U.S. Bureau of Reclamation – which owns and maintains McPhee Reservoir infrastructure, including the canals, pump stations and dam – is being funded, and the Cortez office is staffed. McPhee managers have noticed a slight drop in communication from the Colorado River Basin Forecast Center, operated by National Oceanographic Atmospheric Administration.